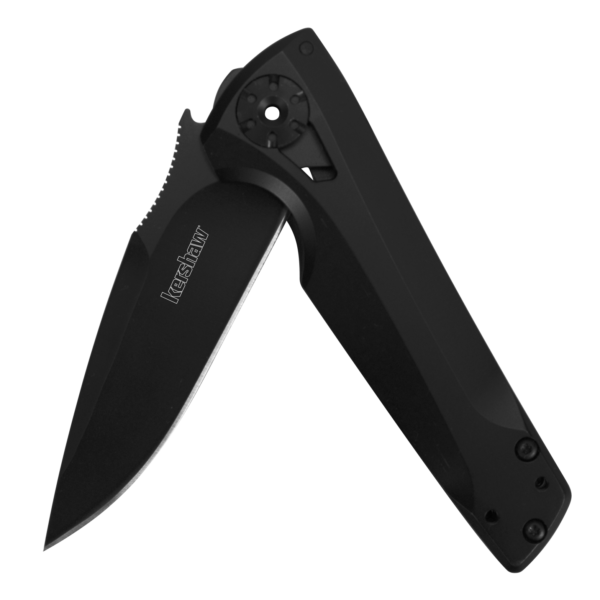 The Flythrough’s drop-point blade has a sculpted top swedge and is made of 8Cr13MoV stainless steel with black-oxide coating for a monochrome look and additional corrosion protection. 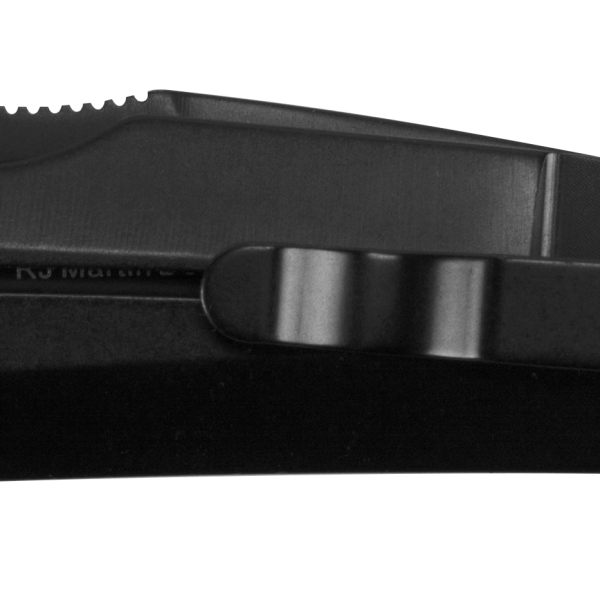 A concave thumb-ramp on the top of the blade provides a secure place to rest a thumb or forefinger for controlled cuts. 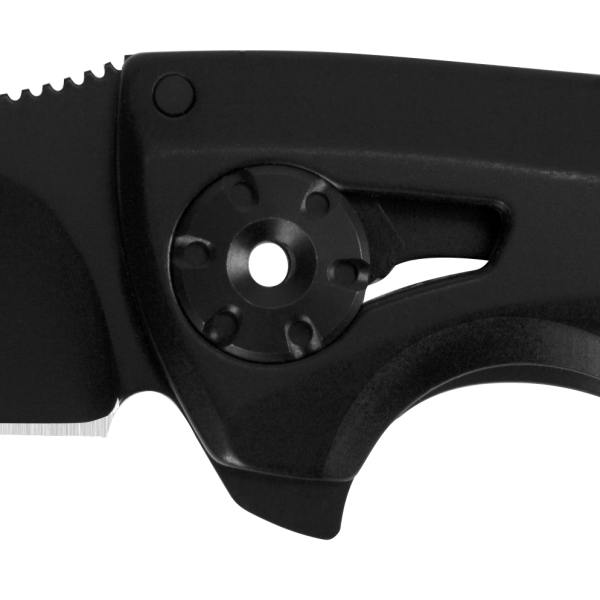 The steel handle features sweeping, sculpted lines that add to the dynamic look of the Flythrough. Lockup is secure thanks to a sturdy frame lock and a reversible deep-carry pocketclip lets the Flythrough ride comfortably low in your pocket.